When properly executed, giveaways can be one of the most powerful promotional tools you have at your disposal, no matter what type of business or brand it is you're running. Giveaways are incredibly engaging, outstanding for attracting attention and drawing in a new audience, and a perfect way to drive the actions which matter most to you. These can include newsletter subscriptions, social media follows, content creation, social referrals, promotional material exposure and much, much more. 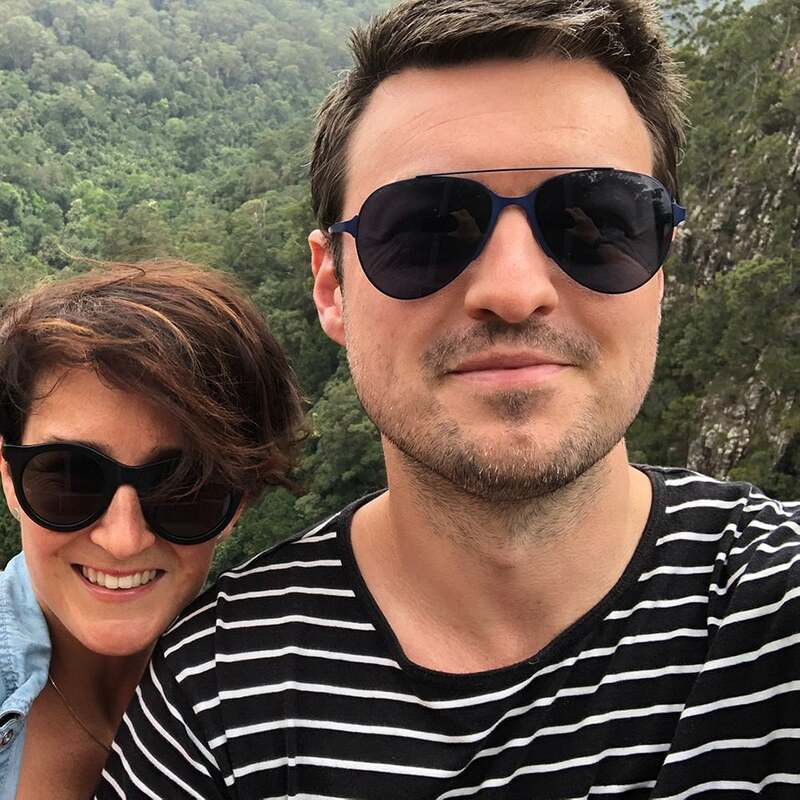 To help you run your own powerful giveaway and reach all of your marketing goals we're going to take you through how you can easily run your own successful campaign and give you all our top tips for getting the most of your giveaway. When you set out to run your own giveaway there are a few things you'll need to do before you launch your campaign to set yourself up for maximum success and ensure that you're going to get as much as possible out of your campaign. Every time you run a giveaway you're putting yourself in an outstanding position to boost your promotional efforts, drive a host of powerful actions and enjoy a diverse array of valuable benefits. There's so much that can be gained from each and every giveaway you run that it's important to figure out exactly what your goals are before you start. This will help you figure out what type of giveaway you should run, where you should run it, what entry actions you should drive and how you should promote it. Generating brand and product awareness. Building hype for a product launch, sales event or other special promotions. All of these goals are incredibly achievable when you run the right type of giveaway and use it to drive the right actions. 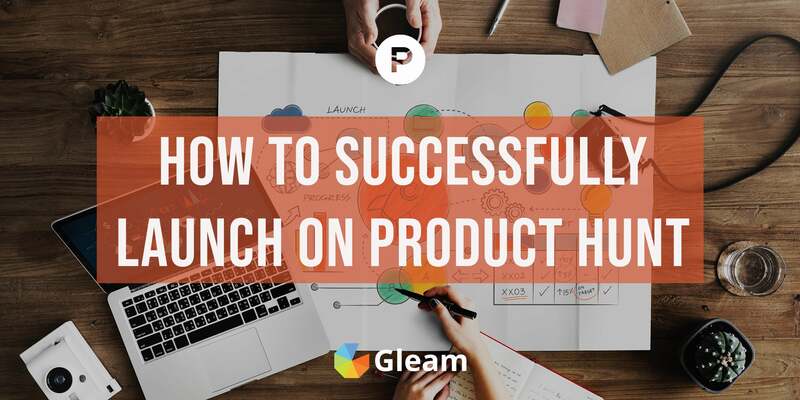 We'll take you through exactly how you can do this soon, but first we're going to take a look at another important consideration you'll need to make before you launch your giveaway. When you start to setup your giveaway one of the first (and most important) decisions you'll need to make is what you actually want to give away. At the end of the day, the prize you offer up is what will ultimately drive participation and encourage users to complete your entry actions. Without a compelling prize you won't be able to attract entrants and maximise the value you get from your campaign. Make sure your prize is relevant to your target audience. You always want to offer a prize which appeals to users who are likely to take an interest in your brand and products. This is the best way to ensure that you're driving meaningful actions from relevant users and potential customers. Choose a prize which helps your promotional efforts. The core purpose of a giveaway is to promote your brand, so it's important that your prize is contributing towards this goal. This may mean giving away a new product of yours, items newly available on your store or a prize from within your area of expertise. Make sure your prize is suitably valuable. You want whatever you give away to be well and truly worth the effort you're asking users to put in to win your prize. As a general rule, the more you're asking users to do to enter your giveaway, the more you should be offering in return. This can be more prizes, more valuable prizes or more winners. Giving away your own product, or a bundle of your own products is generally an outstanding approach as it will allow you to attract a relevant audience and promote your brand in a way no other prizes can. However, if you don't have a product of your own or you simply want to take a different approach then there are plenty of other brilliant prizes you can offer up with your giveaway. Learn more about what makes a great prize and check out over 150 of our favourite prize ideas for every type of giveaway and occassion. Once you've decided what you want to give away, and what you're hoping to achieve with your giveaway you'll be ready to put it into action and start driving engagement and powerful entry actions. There are a huge number of different types of giveaways you can run, it all comes down to you're trying to reach, and what entry actions you are trying to drive. Some of the quickest and easiest types of giveaways you can host are those that are run directly on social media and offer entries in exchange for some simple actions. Upload a photo or other post with a designated hashtag. These are all great ways you can use your giveaway to engage your audience, gain exposure and promote your offering to a new and excited audience. Send out a tweet or post a photo with a hashtag. Tagging friends in the post. Posting a photo with your hashtag. 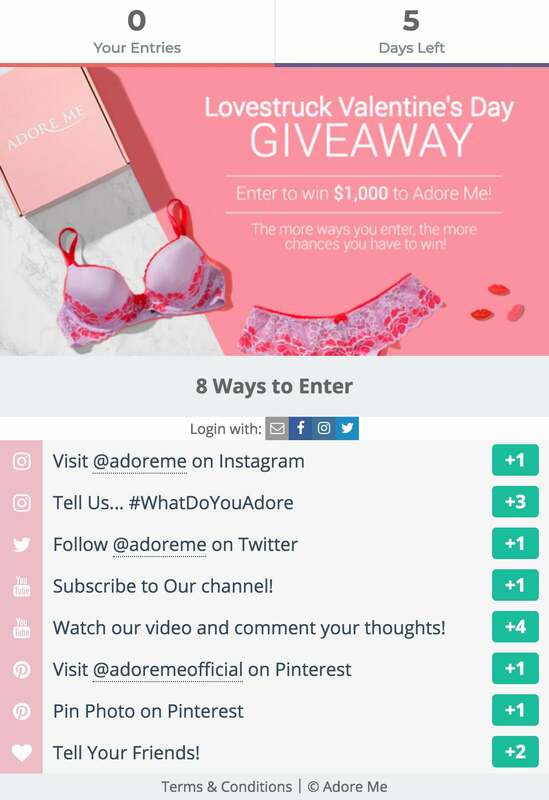 Running a giveaway directly on social media can be a quick and effective way to engage your audience and drive some actions, but if you want your campaign to reach a massive audience, drive and administer a diverse array of powerful actions and gain viral traction then you should be running your giveaway with a 3rd party app. 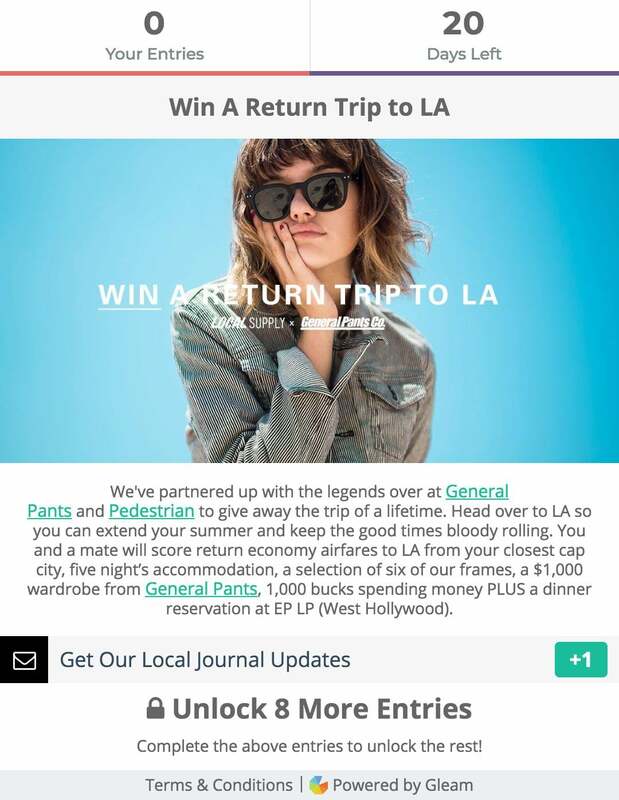 If you use Gleam's Competitions app to run your giveaway you will be able to put together a stylish and powerful campaign which will allow you to connect with your audience and drive a wide array of powerful actions which will help you reach any number of marketing objectives. When you use Gleam to run your giveaway you will be able to host the campaign on your own website, or on one of our hosted landing pages. 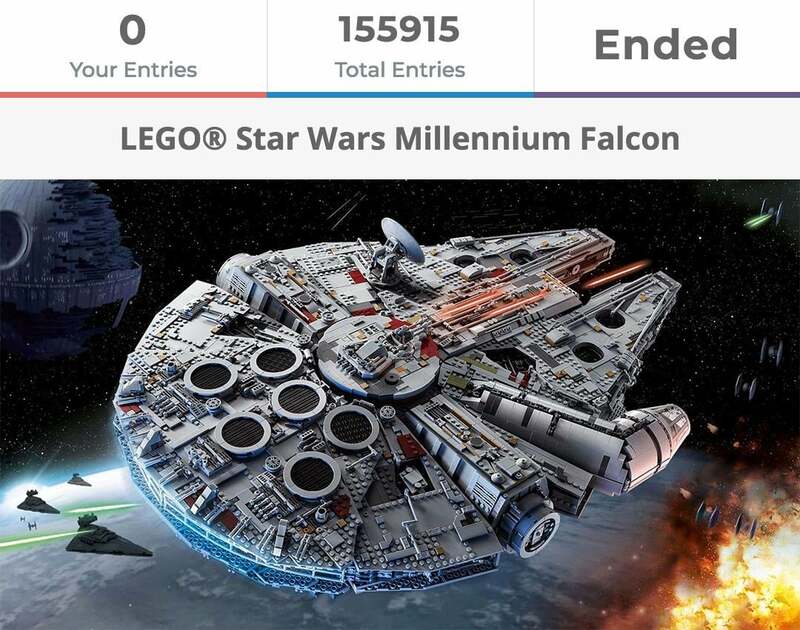 This gives you the opportunity to drive traffic to your giveaway from a multitude of sources which allows you to increase participation, drive more actions across more platforms and ultimately maximise the value you get from your campaign. If you run your giveaway directly on social media the entry actions you can incentivise are limited to the platform you're running the campaign on. 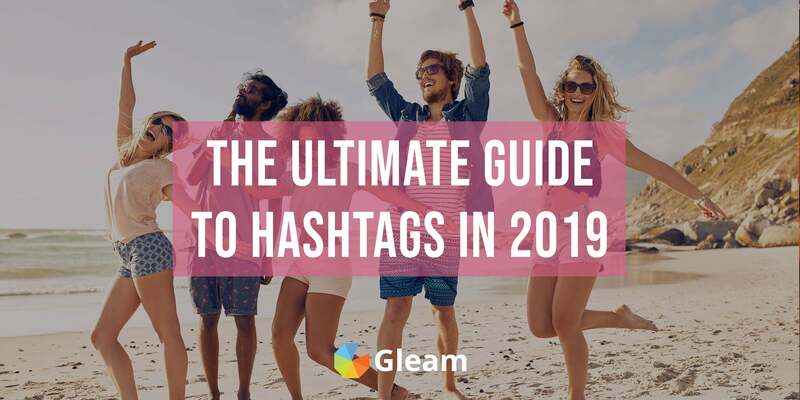 When you use a platform like Gleam to run your giveaway you will be able to incentivise a multitude of powerful actions across all of your social channels and much, much more. This is one of the key advantages of using a 3rd party app to run your giveaway. Website visits which can drive traffic to you home page, a landing page or anywhere else. Facebook and Instagram profile or post visits. Twitter follows, tweets and retweets. Content submission via Instagram, Facebook, Twitter, and direct uploads. Sharing your giveaway with friends. Answering questions, providing feedback and entering secret codes. Checking out your crowdfunding campaign on Kickstarter or Indiegogo. Interacting with you on SoundCloud and Spotify, including following you and listening/sharing your songs. 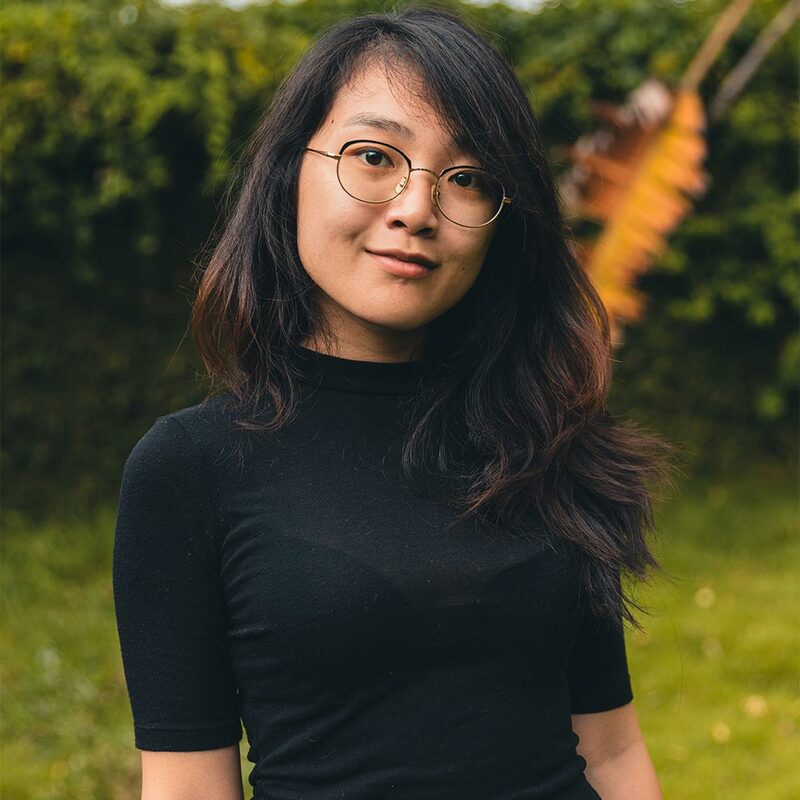 Engaging with you on a range of other platforms including Twitch, Product Hunt, LinkedIn, Pinterest and more. 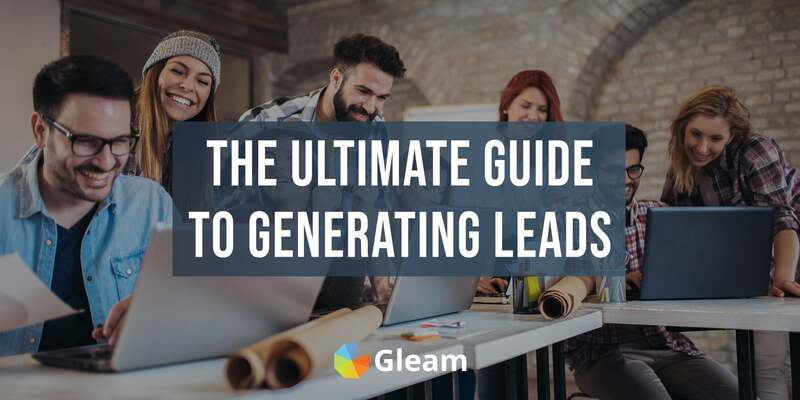 The huge selection of actions you can drive with Gleam means that matter what it is that you want to get out of your giveaway, you will be able drive relevant actions and reach your goals. Another plus is that Gleam automatically administers and validates all entry actions so you don't have to sink all your time into making sure people are properly completing actions. Once you've decided on the actions you want to drive and launched your giveaway it will be time to share it with the world. No matter how well you've put together your giveaway it won't be a success unless you can put it in front of an audience. It's important that you announce your giveaway to your entire online audience as soon as it goes live. This includes sharing it with your mailing list and posting across every social media platform you operate on. You can also try announcing your giveaway to your audience before you go live to build some hype and get people excited to enter. 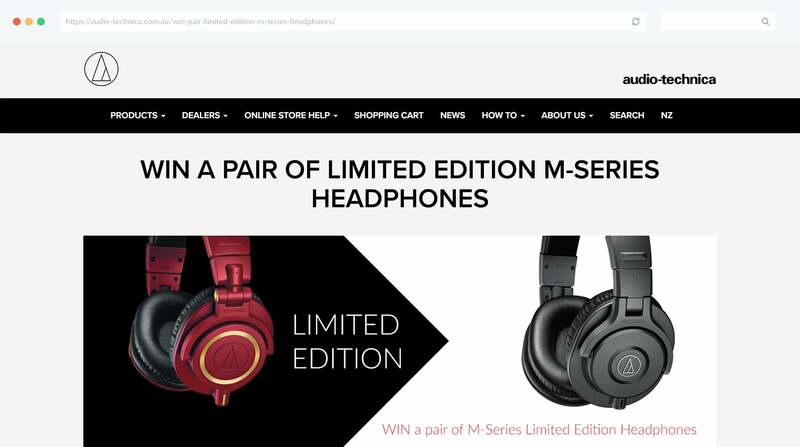 Hosting your giveaway on your own website is another great way to attract entrants, as you can use popups and dedicated pages to draw attention to your giveaway and drive action from highly relevant users. These tactics are all fantastic for promoting your giveaway to your audience and getting the ball rolling on participation, but if you want to maximise your reach you'll need to encourage users to share your giveaway with their friends and kick off the cycle of social referrals. You can achieve this by asking your follows to share/retweet your giveaway posts or tag their friends in the comments. You can also use your giveaway itself to drive social referrals by using our retweet or viral share actions to award extra entries to users who help you promote your campaign. So you've successfully run a giveaway, driven a bunch of powerful actions and reached your campaign goals. Now what? The first thing you should do is take a moment to enjoy the benefits of all the actions you drove. The second thing you should do is get right back to work. In the immediate aftermath of your giveaway you should have a freshly expanded following and switched on and engaged audience who are primed to take further action. Now is the perfect time to get your audience to take action. Giveaways provide you with the perfect opportunity to engage your existing followers and substantially grow your online audience. If your giveaway leaves you inundated with new followers it's crucial that you make efforts to re-engage them in the immediate aftermath of your giveaway. This will help you solidify your relationship with them and prevent your following from dwindling in the time following your campaign. You can do this by sharing high quality social media content which really engages your audience, or running one of the following types of follow-up campaigns. 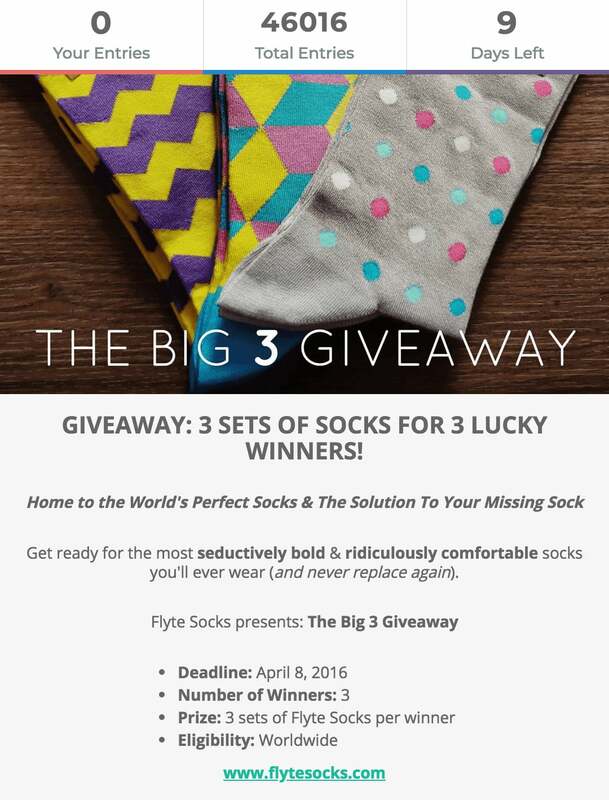 Running a giveaway will help you attract an audience of relevant and excited users who have displayed a clear interest in your brand and products. The immediate aftermath of your giveaway is the perfect time to convert these users into customers by offering up coupon codes and discounts. You can do this by emailing out discount codes to giveaway entrants, running a rewards campaign, giving out coupons to website visitors or hosting and promoting a storewide sale. If you had success running a giveaway once, chances are you'll have success again. Running giveaways on a regular basis is an awesome way to consistently engage your audience, drive meaningful actions, promote your brand and grow your following. This is especially true if you are using the viral share and retweet actions to constantly expand your giveaway's reach. Ready To Run Your Own Giveaway? Check out our documentation on setting up your own giveaway or get started right away! We've seen and facilitated an enormous amount of giveaways here at Gleam. We've even run a lot of our own campaigns. While running and examining all these giveaways we've developed a pretty good sense of what makes a giveaway successful. 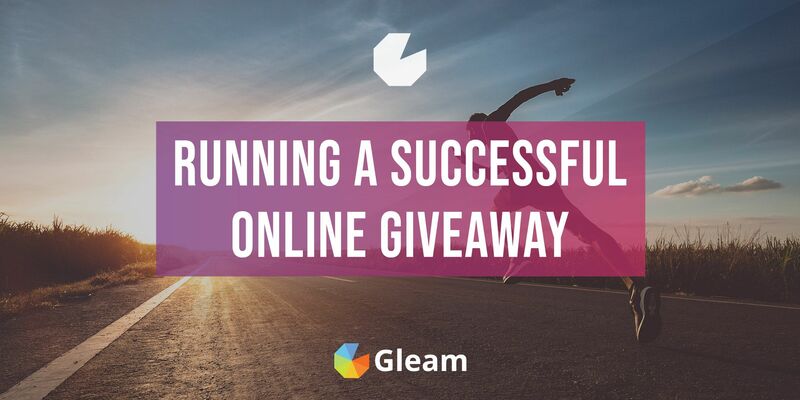 So to help you get the most out of your giveaway and find success we're going to take you through our favourite tips for running a successful giveaway, many of which we've used ourselves to drive powerful results. Anytime you run a giveaway the first thing everyone will notice is your visual copy. 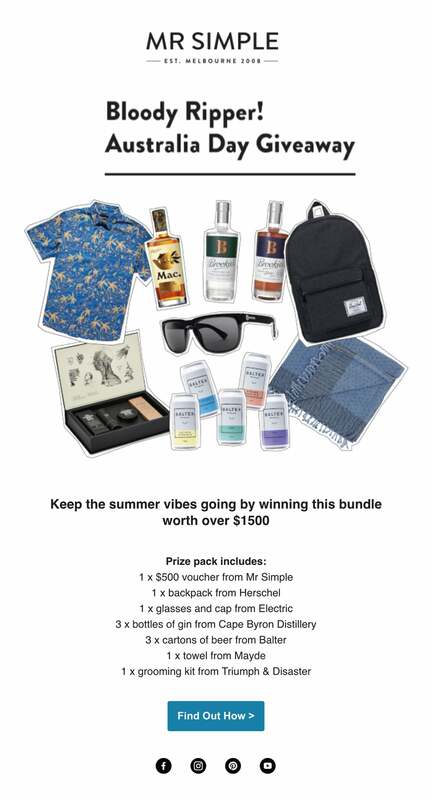 Accompanying your giveaway with eye-catching, engaging, informative imagery is key to the success of your campaign. The visuals you use to promote your giveaway should grab people's attention and communicate exactly what your giveaway is and what entrants stand to win. You want to make your prize as alluring as possible. 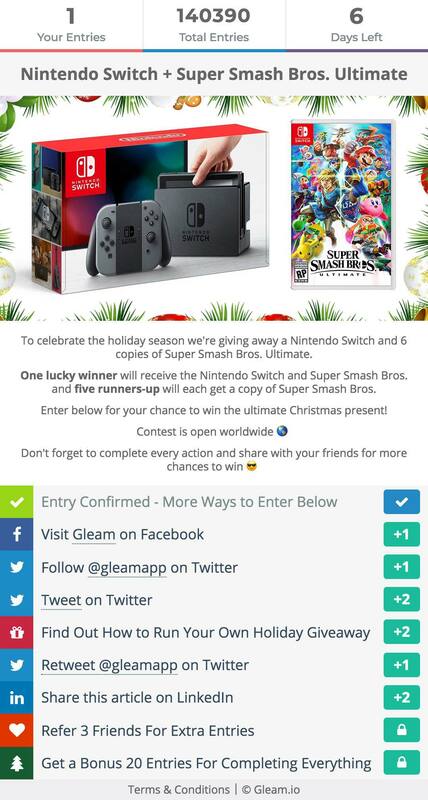 When you run a giveaway with Gleam you can include a feature image will be displayed on your giveaway itself, as well as when you share your campaign on social media. Using a good feature image will make your campaign much more visually appealing and encourage increased participation from all users. Using a high-quality 1080x567px image will optimise your feature image's display in the widget and on social media on all devices, so if possible this is the image size you should aim for. Describing your prize in an enticing way. Providing clear and succinct instructions on how to enter your giveaway. Draw attention to your brand and promote whatever it is you do. 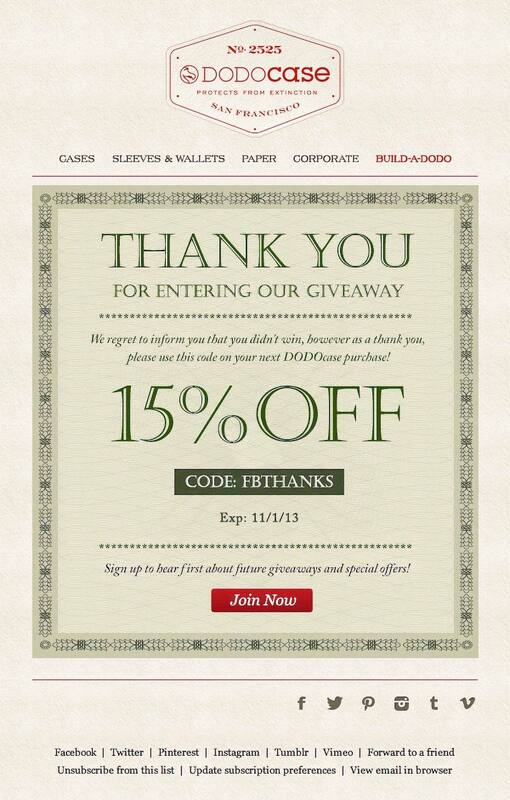 Running your giveaway in a page on your website is a savvy move. 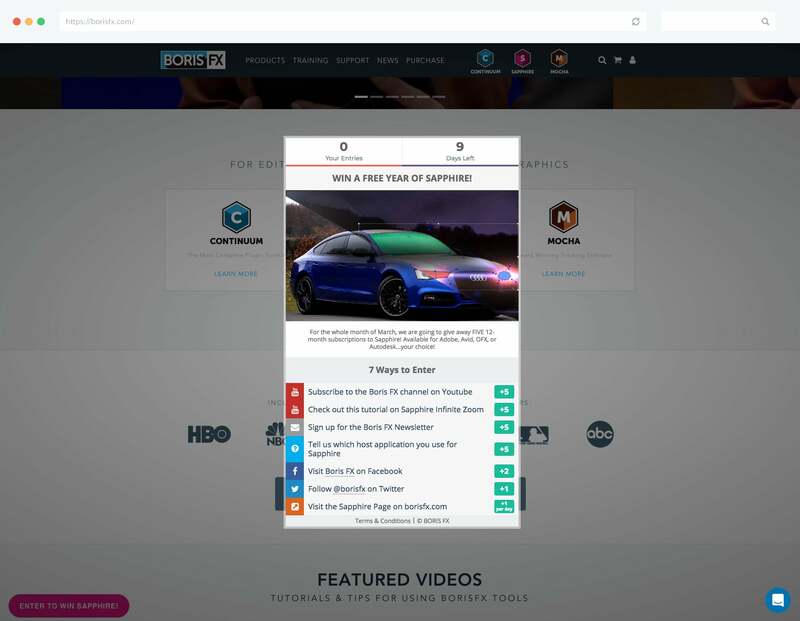 It gives you ultimate control of how you present your giveaway to your audience and allows you to use your giveaway to drive traffic to your website where you can encourage further brand exploration, build further interest and possibly even drive some sales. 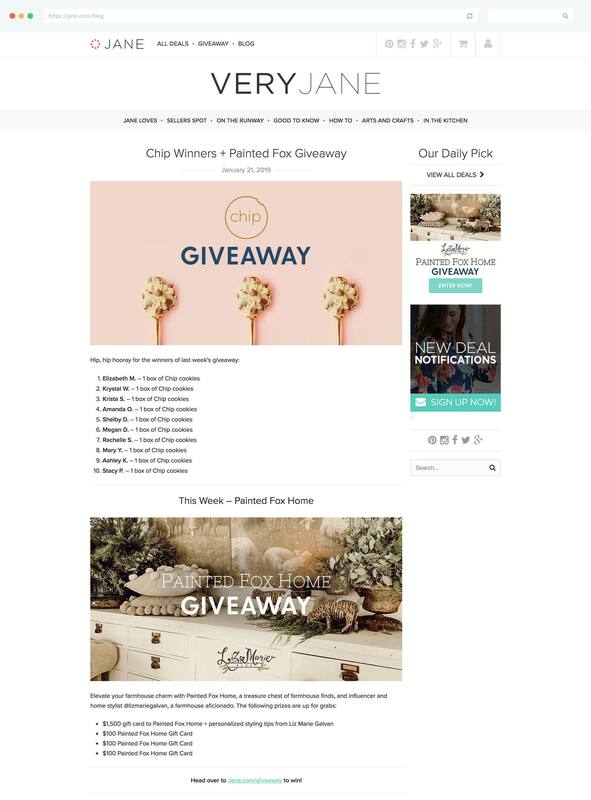 You can also take a slightly different approach and embed your giveaway in a page where your website visitors will naturally come across it. This could be a popup on your home page, in a relevant blog post, or even on a post-checkout page. Another effective approach you can take to running your campaign on your website is setting up a dedicated giveaway page. This is a particularly good move you run giveaways on a regular basis and want to give your users a familiar location they can visit to enter your giveaways time and time again. This will make it a lot easier for you to consistently drive traffic to all of your giveaways or any other promotional campaigns you may be running. 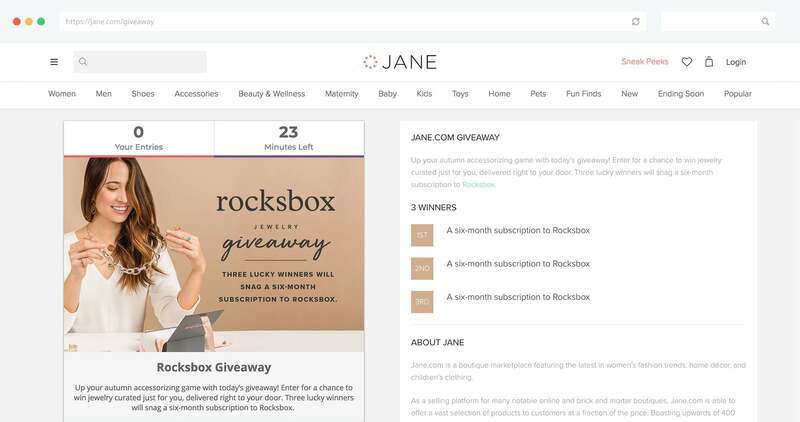 Having a dedicated giveaway page can be particularly effective if you're running multiple giveaways or promotional campaigns at once and want to encourage users to participate in them all. If you're running multiple giveaways then it's safe to assume that you want to the people entering one giveaway to enter all the rest. 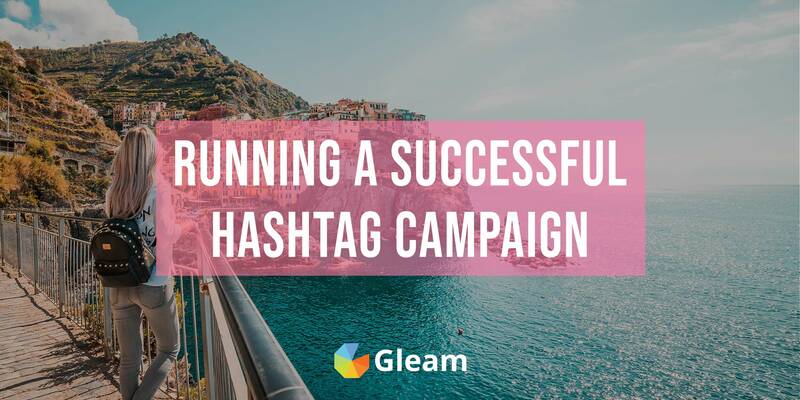 An outstanding way to encourage the participants of one giveaway to enter another one is by using Gleam's promote action to award extra entries to users who enter another one of your campaigns. You don't even have to use this action to promote your own campaign. If you have formed a promotional partnership with another brand or influencer and are both running a giveaway you can use the promote action to send traffic to each other's campaign and cross-pollinate your entrant pool. A strong online following is one of the most valuable assets any marketer can have. Building up a social presence makes it significantly easier to connect with your target audience, promote your brand, encourage social sharing and drive sales, subscriptions, and any other actions you strive for. Giveaways are the perfect opportunity to grow your social presence by incentivising users to follow you on various social media platforms. 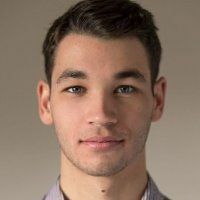 Facebook and Instagram don't allow you to incentivise page like and follows with 3rd party giveaways, but a combination of incentivising profile visits and asking entrants to follow you in your copy will allow you to drive plenty of follows on these platforms. Whatever online channels you choose to reach your audience, giveaways can always help grow your following. The beauty of running a giveaway with a 3rd party platform is that you have the opportunity to drive a wide array of valuable actions rather than the limited selection you are faced with when you run a giveaway directly on social media. When you use a giveaway to drive a wide breadth of actions you will want as many people as you can to complete as many actions as possible. The entries users earn with every action they complete will help you drive multiple actions from every entrant, but if you really want to get every last drop of value you can from your campaign you should check out Gleam's bonus action. With the Bonus action you can award a bunch of extra entries to anyone who completes every action in your giveaway. This is a tactic we've used many times to drive more actions from entrants and maximise the value we get from our giveaways. If there's a specific action on your site that you want to drive then chances are you can use Gleam's custom actions to put it into play. With custom actions you can ask users to complete a specific task and then validate their entries with questions, Tracking, or both. A popular use of custom actions is to award giveaway entries to users who successfully create a profile or account on your website. This is an awesome way to generate new leads and acquire relevant users. When you run a giveaway you can easily and effectively promote your campaign to your existing followers with social media posts, email notifications and onsite advertising. There's no doubt that this will give your giveaway a major leg-up, but if you want your campaign to be a massive success you'll need to generate social referrals which will get your campaign in front of a new audience of relevant leads who you can convert into social followers, subscribers and customers. 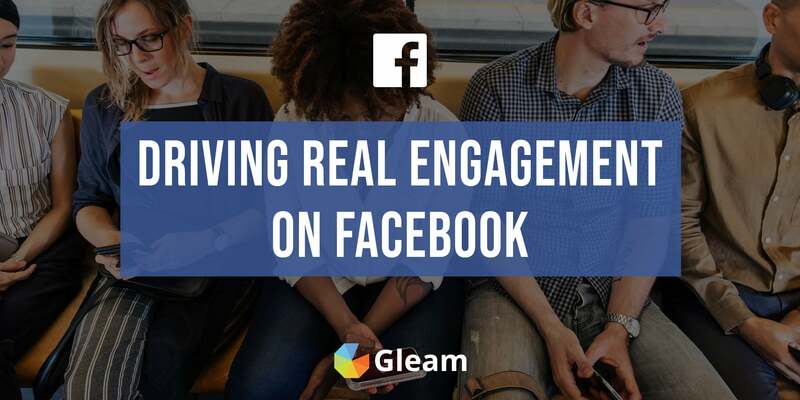 As effective as simply asking users to share your giveaway or tag their friends can be, there isn't a more powerful way to drive social referrals than incentivising them with Gleam's Viral Share action. We touched on this tactic earlier but it is so effective that we're mentioning it again. 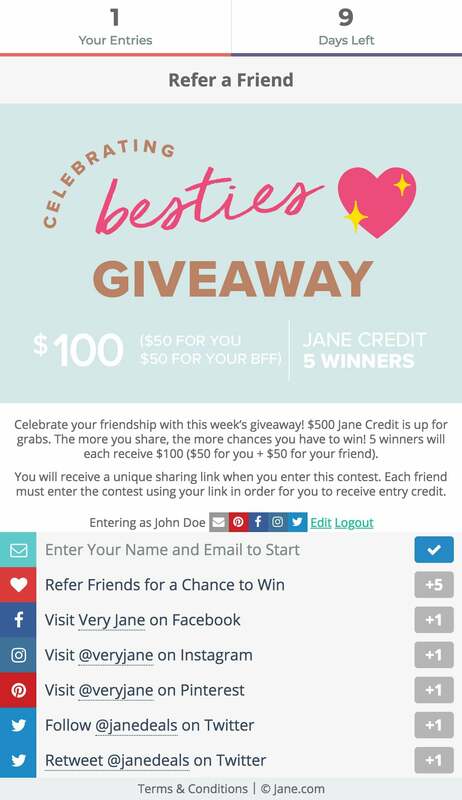 With viral shares you can use entries to incentivise users to share your campaign with friends. This is the perfect way to expand your audience and drive more actions from highly relevant leads. Viral shares are so effective that we include them in every giveaway we run. We've even had customers achieve terrific results by basing entire campaigns around viral shares. Giveaways are an outstanding way to build awareness and grow your following. This makes it a lot easier to drive future purchases, but did you know that you can also use your giveaways to drive immediate conversions and sales? People who enter your giveaway are highly likely to have in interest in your brand and products, and you can convert this interest into action by offering everyone who enters your giveaway a coupon code which entitles them to a discount at your store. 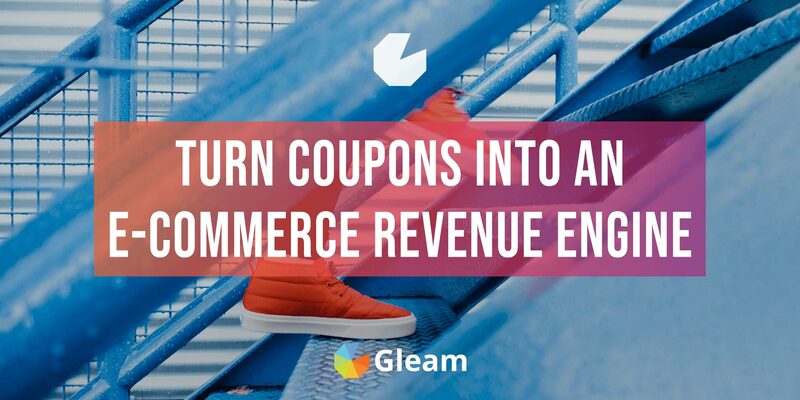 You can execute this tactic by emailing out a coupon to entrants, or you can give out coupons from within your giveaway (and your website) with our powerful Coupon action. You can use our coupon action to offer up discounts to everyone who enters your giveaway, or you can lock your coupon until users have completed a bunch of entries to incentivise the completion of more promotional actions whilst also driving sales. User-generated content is one of the most valuable things you can get your hands on as a marketer. It's endearing, relatable, and it allows you to promote your offering in a way which seamlessly blends into the social media landscape. 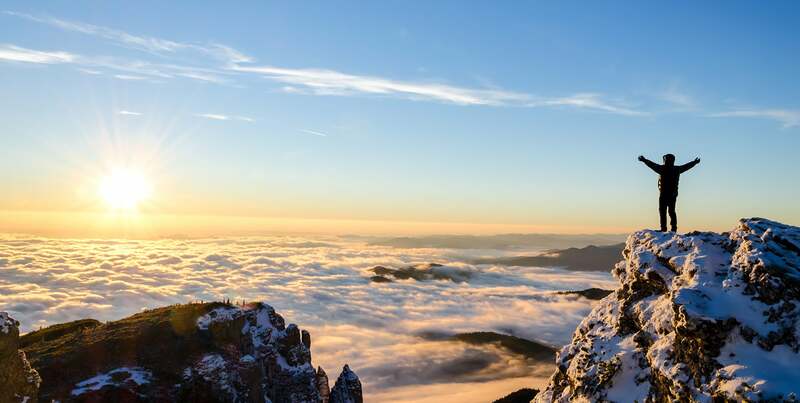 One of the best ways to collect a ton of high quality user content is by running a giveaway where users can enter by submitting photos according to your specifications. You could choose to pick a winner at random or award your prize to the best entry or entries. 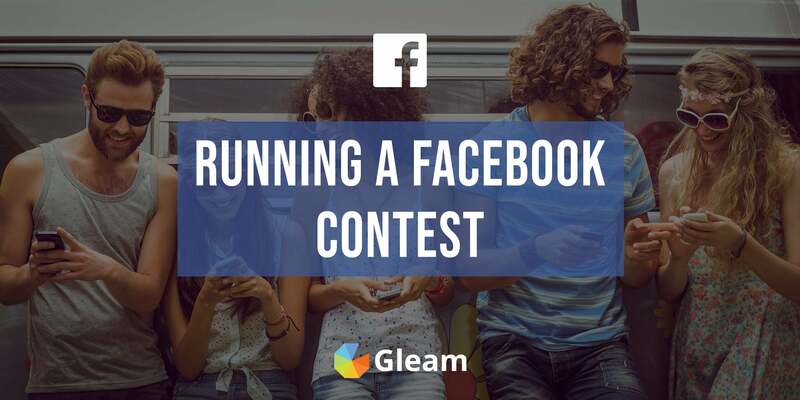 Running a photo contest is easy with Gleam, as you can use our select photo actions on Facebook, Instagram and Twitter or you can use our Import actions to create a giveaway hashtag and automatically import social media photos with your hashtag into the giveaway. This is a brilliant way to use your giveaway to drive some serious engagement and get your hands on a lot of valuable marketing material. Running a giveaway is a brilliant way to drive a multitude of powerful actions with one powerful campaign. However, when you run a giveaway which drives a lot of different actions it's likely that there will be some actions you want to drive more than others. If this is the case you can use Gleam's mandatory actions feature to require users to complete one or multiple high-value actions before they can access the rest of your actions and earn more entries. You can use mandatory actions to drive high-value actions such as email signups, Twitter follows and subscriptions across any platform you operate on like Twitch, Spotify, SoundCloud and more. Just be careful, when you use this tactic you run the risk of alienating any users who don't use a platform you may be basing your mandatory action around. 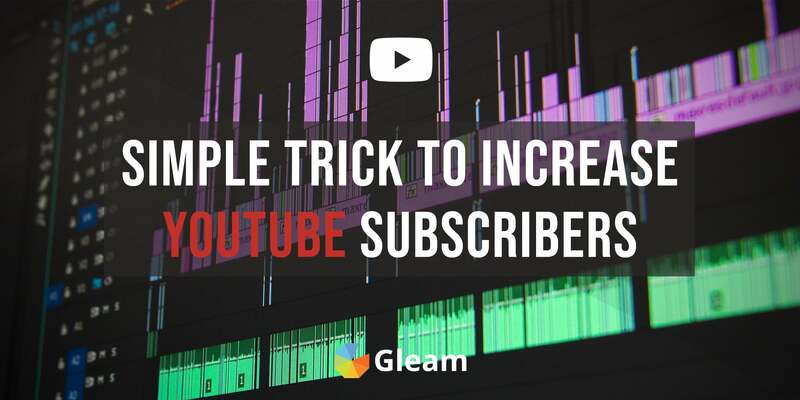 When you use Gleam to run a giveaway you have the option of automatically redirecting users to a specified URL once they have completed the actions in your campaign. This can provide you with a great opportunity to drive some further action in the aftermath of your giveaway when users are engaged, excited, and feeling very good about your brand. There are loads of awesome ways you can put post-entry redirects to good use. You can redirect entrants to a blog post which promotes your offering. If you're a content creator you can take participants to some of your most popular content, whether it be music, videos, or writing. If you're using your giveaway to promote a product or sales event you can use post-entry redirects to take entrants right to your store. We've said it before and we'll say it again: promotion is the key to your giveaway's success. If you really want to make the most of your campaign then you need to be actively getting on every social media you operate on and promoting your giveaway. This includes: announcing the giveaway, hyping up the prize, telling people how and where they can enter and encouraging them to spread the word to their friends. As well as promoting your giveaway on social media you should also be sharing the promotion with your email subscribers. Your mailing list will be populated with users who have already displayed a clear interest in your brand. This makes them perfect giveaway entrants who shouldn't be overlooked. As well as using your mailing list to promote your giveaway, you should also be using your giveaway to promote your mailing list. This is an easy task thanks to our Subscibe action. Building your mailing list won't just make it easier to promote your future giveaways, it will also give the rest of your marketing efforts a massive boost, as email marketing remains one of the most powerful promotional methods around. The more winners you include in your giveaway, the more likely people will think they are to win. And the more likely they think they are to win the more likely they are to enter. Running a giveaway which offers up prizes to multiple winners can be a really effective way to drum up participation. You may want to announce a bunch of winners all at the end, or you may want to run a campaign which draws a daily winner over the course of a week. This can be a great way to hold people's attention, keep your brand at the top of their mind and drive more actions from users trying to boost their odds of winning on a daily basis. Giveaways are a hugely effective way to drive meaningful actions, engage your audience and grow your business. If you run one successful giveaway and then call it quits you're missing out on the opportunity to constantly grow and drive powerful actions with regular giveaways. Making giveaways a cornerstone of your overall marketing strategy can be an outstanding way to constantly get your brand in front of new audiences and drive non-stop acquisition. 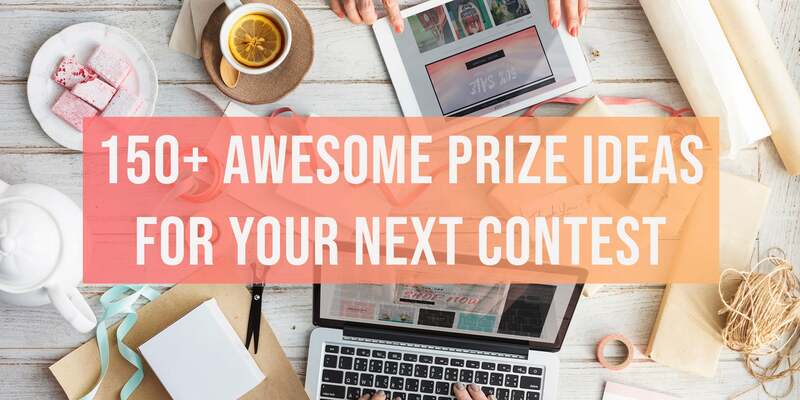 A great strategy for exposing your giveaway (and therefore your brand) to a huge new audience is to partner up with other brands to give away a valuable prize bundle in a collaborative giveaway. 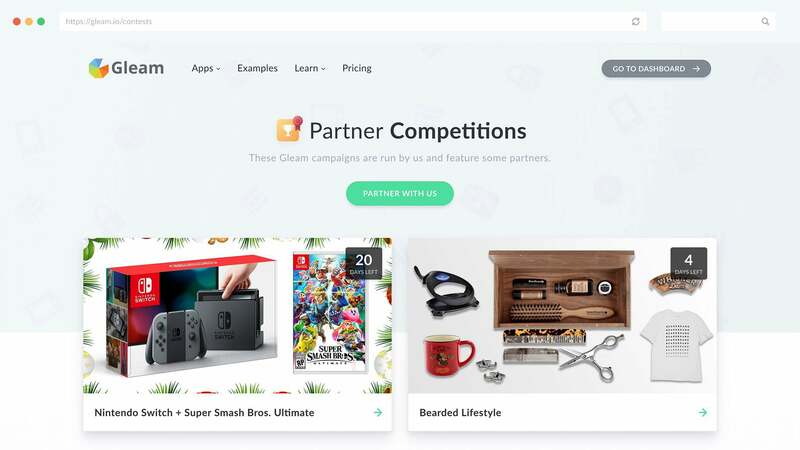 Partnering up with other brands to give away a prize bundle is an awesome way to increase participation, drive powerful actions from your partner's users and help promote your brand to a new and relevant audience. This strategy can be particularly effective for emerging brands teaming up with more established partners to help build awareness. The key to partnering up with other brands is to know who you should be partnering up with. You want to team up with relevant brands who share a common target audience, but offer a complementary product rather than a competing one. This will allow you to tap into a relevant audience without the risk of being outshone by a competitor. With the help of all these powerful tips and tactics (plus plenty more you can check out here) you should be feeling ready to go out and start running you're own successful giveaways. Keep our advice in mind and you'll have no issues reaching a sizable audience, driving the actions that matter to you and achieving all of your marketing goals.